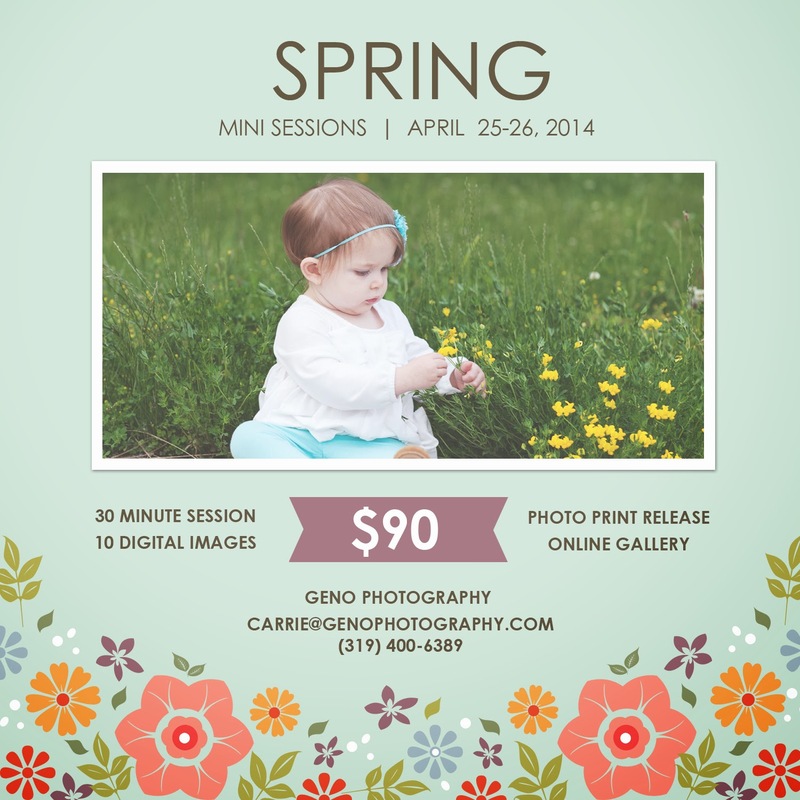 Geno Photography: Spring Mini Sessions! A reminder, time is running out to schedule your Spring Mini Session. There are limited time slots available. Contact us today to reserve your spot!